ST PETERSBURG (Sputnik) - The Russian Finance Ministry may replicate the UK experiment of introducing excises on so-called "harmful products" such as sugary drinks, the Russian Finance Ministry told Sputnik on Friday. 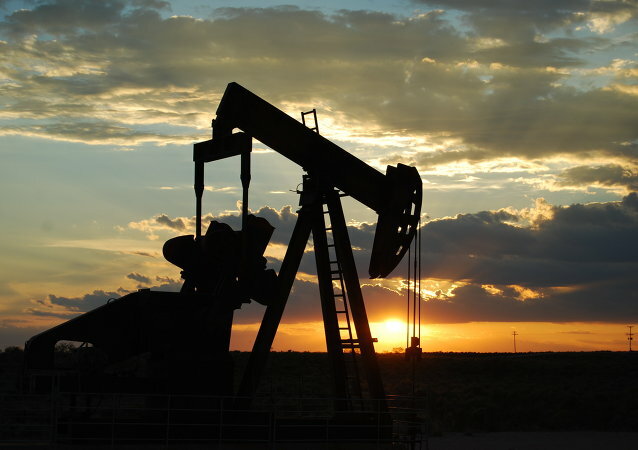 ST. PETERSBURG (Sputnik) - The meeting of the Joint OPEC-non-OPEC Ministerial Monitoring Committee (JMMC) in June will address the figures for the possible increase in the oil output within the Vienna deal among other issues, Russian Energy Minister Novak said on Friday. ST. PETERSBURG (Sputnik) - The meeting between Russian President Vladimir Putin and French President Emmanuel Macron during the St. Petersburg International Economic Forum (SPIEF) is a good opportunity to improve political and economic ties, Frederic Oudea, the CEO of the Societe Gerenale financial group told Sputnik on Friday. ST.PETERSBURG (Sputnik) - Israel is ready to take preventive steps in order to protect the country from attacks of Iran, which is seeking to gain a foothold in neighboring Syria, Israeli Minister for Jerusalem Affairs Zeev Elkin told Sputnik. 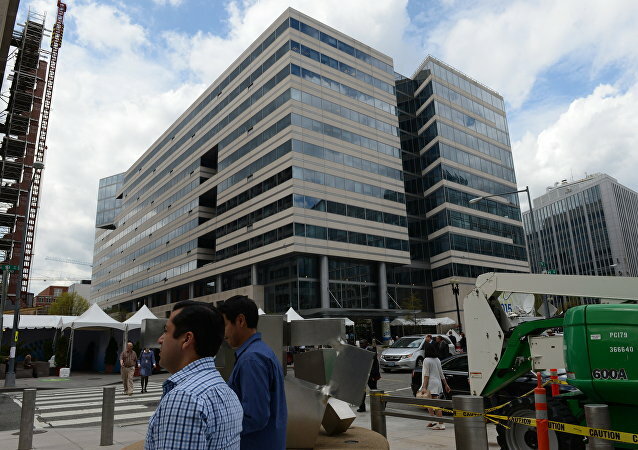 ST. PETERSBURG (Sputnik) - Russian Business Ombudsman Boris Titov told Sputnik on Thursday that he believed that the Russian government should prepare a road map for the withdrawal of reserves from US securities. Emmanuel Macron has come in Russia to attend the Saint Petersburg International Economic Forum (SPIEF) and meet with Vladimir Putin. It is notably his first visit to the country since he was elected France’s president back in 2017. 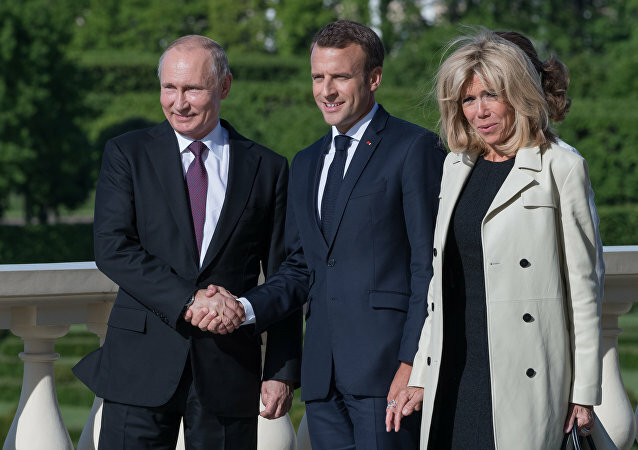 Emmanuel Macron has come to Russia for the first time since being elected president in 2017, bringing a squad of French top officials and entrepreneurs, to attend the Saint Petersburg International Economic Forum (SPIEF) and meet Vladimir Putin. The conflicts in Syria and Ukraine, the Iran deal and Paris-Moscow relations are on the agenda. ST. PETERSBURG (Sputnik) – Washington has resorted to a sanctions policy to hinder the implementation of the Nord Stream 2 gas pipeline project in an attempt to secure its interests on the European gas market, Thilo Wieland, a board member of German energy company Wintershall, told Sputnik on Thursday. ST. PETERSBURG (Sputnik) - Russian fiscal policy, as well as several other macroeconomic standards, sets standards of excellence and indicates that Russia is a "safe haven" for investments, Managing Director of the International Monetary Fund Christine Lagarde said on Thursday. 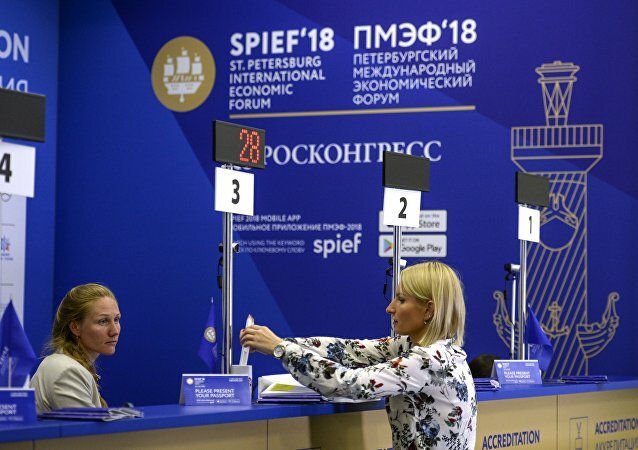 MOSCOW (Sputnik) - The 22nd annual International Economic Forum in Russia’s city of St. Petersburg, abbreviated as SPIEF, kicks off on Thursday at the ExpoForum Convention and Exhibition Center and will last for three days. MOSCOW (Sputnik) - Russia's second largest city of St. Petersburg will traditionally host the International Economic Forum (SPIEF) between Thursday and Saturday, where business representatives, top politicians and countries' leaders will gather to discuss crucial economic issues. ST PETERSBURG (Sputnik) - Russian President Vladimir Putin invited his counterpart from the Central African Republic (CAR), Faustin-Archange Touadera, to discuss various options for intensifying bilateral cooperation in both the economic and humanitarian spheres, the Kremlin's press service said Wednesday. 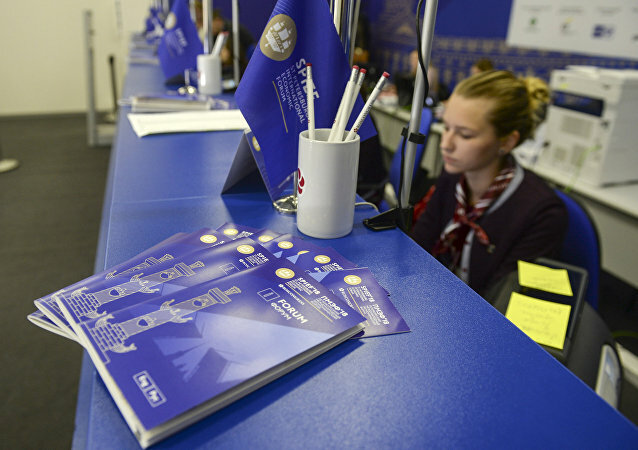 MOSCOW (Sputnik) - Sputnik will take part in the upcoming St. Petersburg International Economic Forum (SPIEF), during which it will run a 24/7 newswire dedicated to the event and provide photos of key events of the forum, the agency's press service said on Wednesday. MOSCOW (Sputnik) - Russian President Vladimir Putin will meet with the chief executives of foreign companies on the sidelines of the St. Petersburg International Economic Forum (SPIEF), representatives of BP, Siemens, Huawei, Shell, Boeing, Total, Volvo and Toyota will attend the meeting, Kremlin aide Yury Ushakov told reporters. 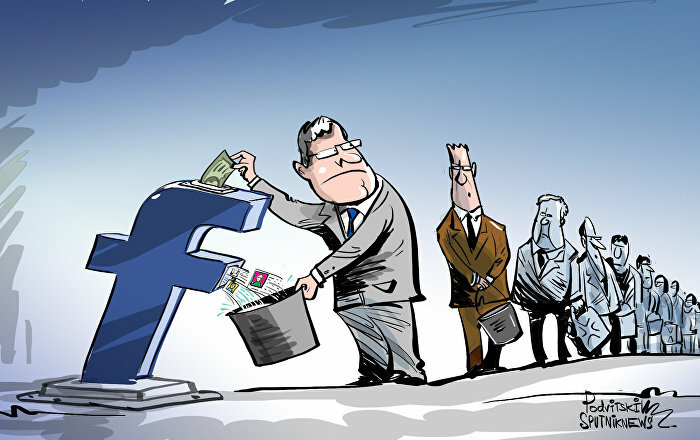 MOSCOW (Sputnik) - Swedish Trade and EU Affairs Deputy Minister Oscar Stenstrom will attend the upcoming St. Petersburg International Economic Forum (SPIEF) in order to promote interests of Swedish companies in Russia, the Swedish government's press service said on Wednesday.